Reconstruction Calculation and Project Management Software. There is simply no other software that compares. 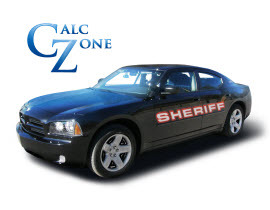 The evolution of Calc Zone software has answered the calling of reconstructionist world wide. You have absolutely nothing to loose, try it free for 15 days and get a 30 day money back guarantee. If you have not seen or used a laser scanner, or more importantly the results, you are missing out. Think laser scanners are financially out of reach? Think again, competition is fierce and it's finally in your favor. Contact me for questions about laser scanners. We applogize for any inconvenience and encourage you to do the same.